After finalizing a comprehensive, first-of-its-kind agreement, Sustainable Travel International (STI), a non-profit global leader in sustainable development and responsible tourism, announced today their collaboration with Eco Lodges Indonesia (ELI), a pioneering, ecotourism provider operating in an emerging economy, with a focus on biodiversity conservation and enhancement of local community livelihoods. The new collaboration will address the role that growing consumer awareness plays in turning efforts to go green into long-term business solutions for tourism providers. Sustainable Travel International‘s mission is to promote sustainable development through responsible travel by providing programs that help travelers, businesses and destinations protect the environment, preserve cultural heritage and promote economic development. Eco Lodges Indonesia is one of the first to pursue international sustainable tourism certification in Indonesia, and is committed to achieving the UN Millennium Development Goals through their ecotourism investments and operations. The company’s four Ecolodges emphasize wildlife conservation and improving the livelihoods of local communities where the properties are located. Both STI and Eco Lodges Indonesia support the Global Partnership for Sustainable Tourism Criteria initiated by Rainforest Alliance, the United Nations Environment Programme (UNEP), the United Nations Foundation, and the United Nations World Tourism Organization (UNWTO), launched at the World Conservation Congress in October 2008. 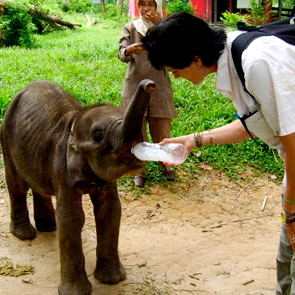 In addition, STI and ELI will work with a number of other partners, such as the Scientific – Academic – Volunteer – Educational (SAVE) Travel Alliance, National Geographic and other non-government, government and private sector organizations, to identify and utilize additional resources for sustainable tourism development. 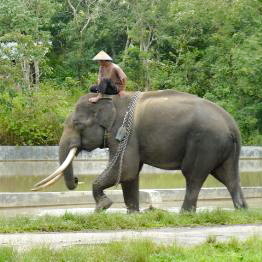 Satwa Elephant Ecolodge, Way Kambas National Park, Lampung, Sumatra. Way Kambas is a large national park covering 130,000 hectares. 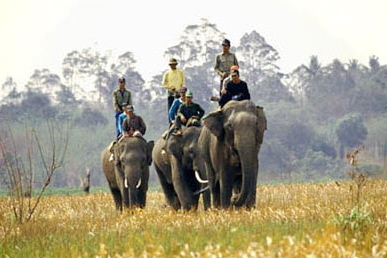 It consists of swamp forest and lowland rain forest, becoming a reserve in 1972 It has long been known for being home to a significant population of Sumatran elephants, some Sumatran tigers and Malaysian tapirs, and numerous bird species. In the 1990s, it was revealed that the park was also home to a little-known or seen population of around 40 Sumatran rhinos – one of only three surviving populations in Indonesia. Rimba Orangutan Ecolodge, Tanjung Puting National Park, Kalimantan (Borneo). Situated on the edge of ‘The Tanjung Puting National Park’, this forest lodge on the Sekonyer River provides a base for seeing nine primate species.This is one of the only places in the world where orangutans can be seen in the wild. Observe Orangutans, Proboscis Monkeys, Gibbons, Tarsiers and other primate species in their natural habitat. Enjoy the Klotok river boat experience and the forest. Bajo Komodo Ecolodge, Komodo National Park, Komodo, East Lesser Sunda Islands, East Indonesia. Komodo National Park includes three major islands: Komodo, Rinca and Padar, as well as numerous smaller islands creating a total surface area (marine and land) of 1817km. As well as being home to the Komodo dragon, the Park provides refuge for many other notable terrestrial species such as the orange-footed scrub fowl, an endemic rat, the Timor deer and over 150 bird species. Moreover, the Park includes one of the world’s richest marine environments including coral reefs, mangroves, seagrass beds, seamounts, and semi-enclosed bays. These habitats harbor more than 1,000 species of fish, some 260 species of reef-building coral, and 70 species of sponges. Dugong, sharks, manta rays, at least 14 species of whales, dolphins, and sea turtles also make Komodo National Park their home. 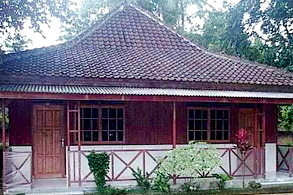 This entry was posted in Indonesia and tagged Adventure Travel, Ecotourism, Endangered Species, Habitat Destruction, Rainforest, Responsible Tourism, Sustainability, Unique Travel Experience, VolunTourism. Bookmark the permalink.